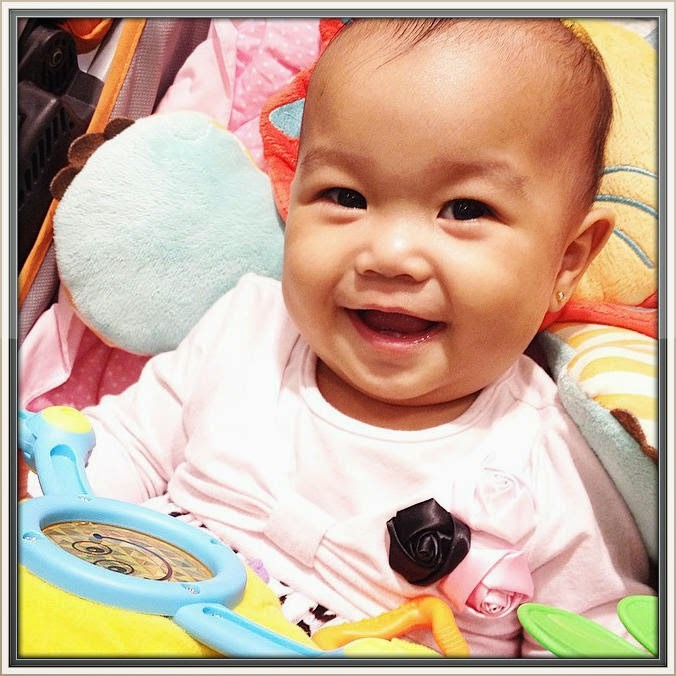 Rhian begins her teething as early as 6 months of age. One day, we noticed that she wants to put everything in her mouth and starts drooling, gum swelling, biting and unusual fussiness. As of this moment, she has two tiny teeth at the bottom front which showed up in pairs when she was 7 months. 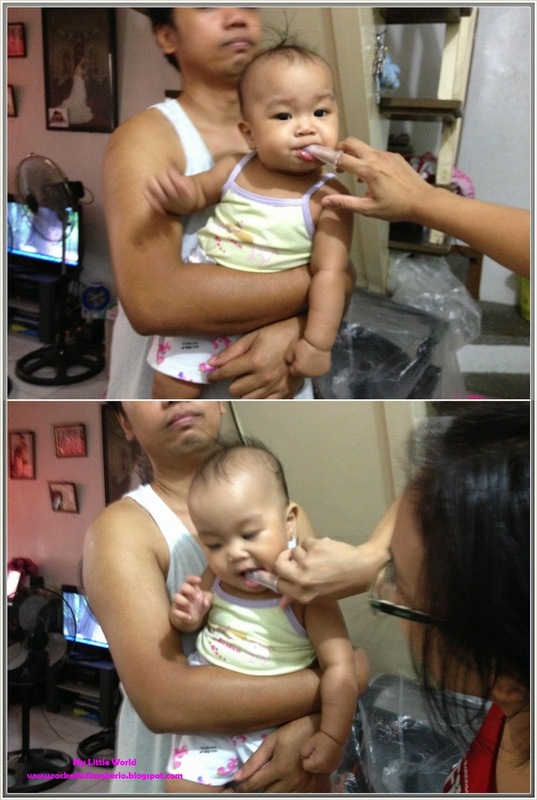 As a first time mom, I want to take care of her teeth, so I told my husband to start brushing Rhian’s teeth. Although some of my friends told me that “They’re just baby teeth” I believe that if you have good and healthy baby teeth, you will pave the way for a good and healthy permanent teeth. Right moms? It’s a good thing that my pedia allowed me to use toothpaste that are safe for infants so she recommends Sansfluo. I have no idea about this brand but when I read some reviews about this product, I immediately asked my husband to buy one for us. It is perfectly formulated toothpaste for infants and toddlers from 0-6 years old. It is fluoride free and safe to swallow. It is non-foaming because it has no sodium lauryl sulfate and contains no harmful ingredients. It has Xylitol – a natural sweetener that effectively cleans your child’s teeth and gums to make them stronger and healthy. It comes in two great tasting flavors of orange and strawberry. 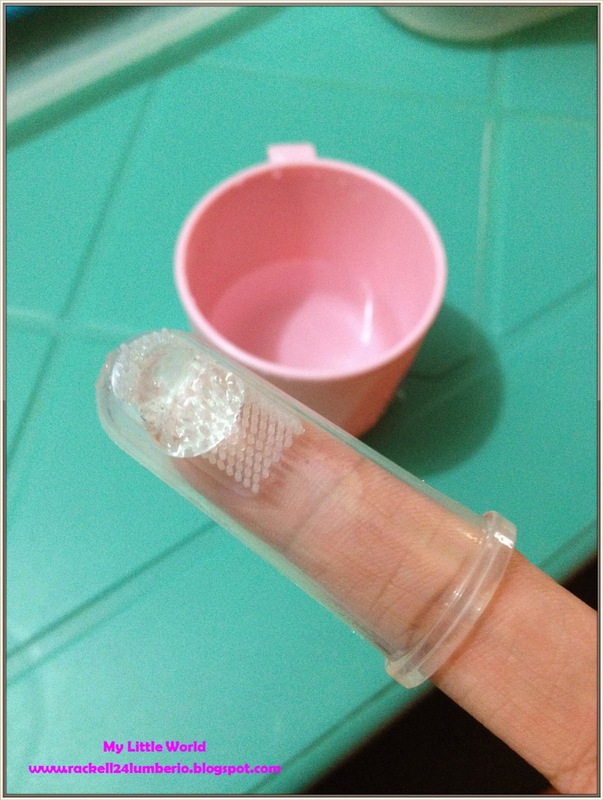 I use dental Brush and Gum Massager I bought at the baby store, wrap it around my finger, put a small amount of SanFluo Tooth Gel (a pea-sized should be sufficient) and rub around at my baby’s teeth concentrating on the area where the teeth and gums meet. After that, I rinse her teeth using mineral water (Wilkins). I’m so happy because Rhian resists having her teeth brushed, minsan nga parang ayaw nan yang tigilan ko yung pag to-toothbrush eh. Hihi. Now, I’m so excited to watch Rhian brushing her teeth on her own soon. 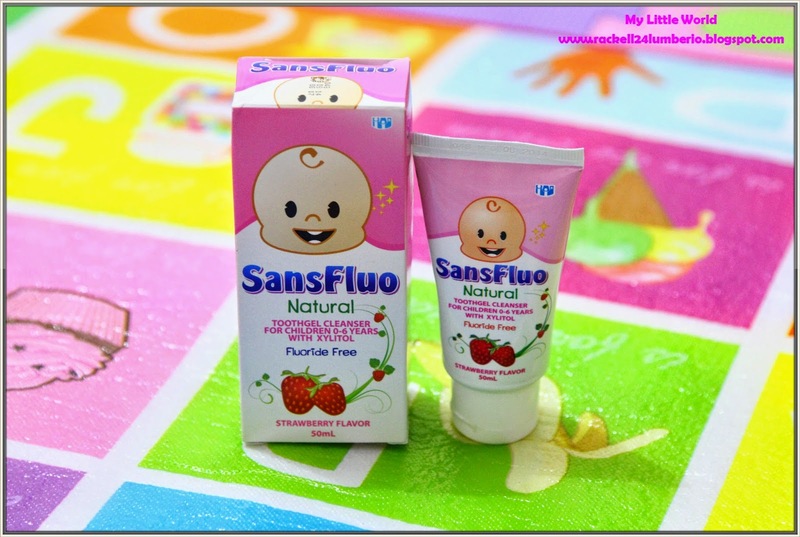 #SansFluo the complete dental care for children ages 0-6. Another reason why I love SansFluo is that it has a tasty and fruity flavor. By the way, it’s advisable and good idea to start cleaning your baby’s teeth twice a day. I brush my daughter’s teeth every morning right after breakfast and again before bed time after her dinner. Another great choice for your child is this swing combo from Kokopax. I'm so glad for Sans Fluo! It's the most affordable non-toxic, child-friendly toothpaste around. Used it in all our 3 kids! Your baby is soo cute, love the smile! It's so nice that there are products like Sansfluo which show true concern and care for our little babies. Sansfluo was my son's first toothpaste too. :) He's three years old now so he uses a different brand already. Oh yes, good this reminds me that I have to get one for my little girl. I haven't used a toothpaste on her yet. Does it have SLS [sodium laureth sulfate]? My little guy enjoys Sansfluo toothpaste, too! We haven't tried the Orange flavor yet though. Cute baby! Good job Mommy for taking care of her baby teeth. My 23-month old baby is still teething.